We’re back with another immense selling guide for you, this time, it’s high end watches. Far from being something that sits on your wrist to remind you what time it is, luxury watches have almost taken on a life of their own. The high end watch market is thriving, some investors even choose to put their money into fine watches rather than other more traditional assets like gold and silver. But where there’s money there’s fraudsters, so it pays to know your stuff before you sell. If you’ve dipped your toe into the world of watch selling online, you’re likely already feeling a little overwhelmed. Get yourself somewhere comfy, and we’ll tell you everything you need to know about selling your high end watches. Use the links below to find out about selling your particular brand, or read the whole thing to become an expert! How much can I sell my watch for? How much does it cost to get high end watches valued? Where can I get my high end watch valued? How much is a Waltham watch worth? Where can I sell my Tissot watch? How much is my Tissot watch worth? Is my Tissot watch real? Is my gold watch real gold? Where can I sell my gold watch? How much is my Smiths watch worth? Is my Smiths watch real? Where can I sell a Smiths watch? He’s been trading in high end watches for over 50 years and collects them as a hobby. Antony knows how to spot a replica a mile away, and is adept at looking past the precious metal content of a watch to understand if it has vintage or antique value. Selling high end watches is tough, usually they’re worth a lot of money, so one mistake can see you losing out on a higher sale price. We’ve teamed up with Antony to share the benefit of his experience buying and selling high end watches so you can get the best selling price for your fine watches. Throughout this guide we’ve used watch terms you may not be familiar with, so before we get started, take a quick look at which part of the watch these terms describe. We’ll link to this guide whenever we mention a technical term. The answer isn’t as straightforward as listing prices next to watches. Many factors influence the prices paid for watches. In most cases you can get a general feel for how much Swiss and branded watches are sold for by searching an online platform like eBay. It only takes one movement or one tiny detail to change the value of a watch, so when looking at prices on eBay they should only ever be used as a very rough guide. Getting your watch valued is the only way to know how much you can make from it. A good valuer will be able to spot the crucial details that determine its value. In most cases you can get free private sale valuations. Make sure you check the terms and conditions for any valuation you get, so you can avoid any potential fees or valuations on condition of sale. With a bit of research you can learn a lot about your high end watch. The more you know about your watch, the more idea you’ll have as to its value which can help you decide how you sell it. In this guide we’ll explain how to spot a fake watch, how to find out more about your watch and where to sell your high end watches. Watches can be works of intense craftsmanship. Branded and Swiss watches are almost always valuable. Mostly due to the durability of the watch, the work involved and because they are often made in limited runs. If your watch is in good condition it will be worth more money. If you are selling a branded or high end watch, it will likely be worth more if you have the original box and a certificate of authenticity. This is almost expected with more modern branded watches, but gets less likely as the watch gets older. Branded antique watches will also be worth more in good condition. While modern models have to be assessed for their authenticity, vintage and antique watches have to be assessed for their state of repair. Watches that have been repaired may hold less value than their original counterparts. Rarity increases the value of a watch. So if your luxury watch was part of a limited run it will likely be worth more. As we’ll see in this guide, some companies, like Waltham, no longer operate and only made comparatively few watches, this makes certain Waltham models more valuable. Because there is so much that can influence the value of a watch, it will need to be seen to be valued. Be wary of any company that gives you a sale price before they’ve seen your watch. Some websites will allow you to submit photos to get your watch valued, but it’s easy to miss tiny details in photos, and tiny details can make a big difference. Get your high end watch valued in person so you know you’re getting the best price. If you’re selling high end watches it makes sense to get a valuation first. There are a few different types of valuations you can get for your expensive watches. Make sure you know what you can expect from each one. There are different types of valuations. It’s important to know what kind of valuation you should get for your high end watches. The wrong evaluation could be expensive and might not tell you how much you can make selling your watches. If you have expensive watches, like branded or high end watches, you will want to make sure they are covered by your home insurance policy. Standard policies have a single article or item limit. That’s the most the insurance policy will pay out for a single item. If your high end watches are worth more than the single item limit, and that is often the case, you should get them valued. That’s where insurance replacement valuations come in. The valuation will mean you’ll know how much coverage you need for your high end watches. You’ll also be given a valuation certificate you can pass onto the insurance company in the event you need to make a claim. The valuation you get for insurance purposes isn’t the price you get for selling your watches. It’s the price of replacing them. Or the financial compensation you would get for items that can’t be replaced, like limited edition Swiss watches. If you are selling your high end watches, this is the type of valuation you need. It will tell you exactly how much you can make selling your watches. It’s not unusual to get varying prices from private sale valuations. Some collectors and companies will pay more for your branded and high end watches if they have an easy way to sell them on. For instance, Vintage Cash Cow are able to offer good prices for watches thanks to Antony’s expertise and our network of swiss watch collectors. A pawn shop might offer a lower price if they don’t have an immediate outlet to sell them on. Make sure you are getting a no obligation sale price. The last thing you want is to be forcefully parted from your expensive watches. At Vintage Cash Cow our staff are highly trained by Antony to handle and appraise high end watches. We value every watch sent to us and then offer you a no obligation sale price. If you decide to sell your watches Antony will give you an instant cash payment, if you decide not to sell, you’ll get your watches sent back for free. Prices vary for different types of valuation and across different types of companies. You would expect to pay for an insurance valuation. Sale valuations are usually free. In rare instances, like at auction houses, you may be charged for them. If you want to get your expensive watches valued make sure you select the right type of valuation and that you are happy with the company you are using for the valuation. Check the reviews for any valuer you use, this will help you understand how easy the valuer is to get along with and whether people felt the valuation was fair. When selling expensive watches it’s a good idea to get a few different valuations or selling prices from different companies. Make sure to check if they charge for their valuations first. Once you’ve had your high end watch valued, you’ll be ready to sell. At Vintage Cash Cow we carefully appraise each watch we receive before offering you an obligation free sale price. Because we need to see your watches to value them, we offer free returns if you decide not to sell. Rolex watches are often worth a lot of money. If you have the box and papers for your Rolex you might find it’s worth about the same or more than you paid for it. 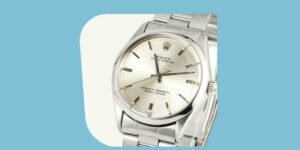 If you bought the Rolex yourself you’ll likely know everything you need to know about your Rolex, or certainly enough to begin the selling process. As Rolex have been around since 1905 you may have inherited one from a friend or family member. If you’ve inherited a Rolex, you’ll need to know a few things about it before you start selling. Here we’ll go through everything you need to know about your Rolex before you sell it. A Rolex watch without a certificate of authenticity will be difficult to sell for a high price. Because it’s such a valuable watch there are a lot of replicas around, this is why it pays to have the certificate. Rolex and other watch brands go to great lengths to decrease the amount of replica watches on the market. In the UK it is illegal to counterfeit watches, and to sell them as the real thing. Some watch repair and jewellery shops will confiscate replica watches and destroy them. If you are in any doubt, contact the jeweller or watch shop before visiting to ask what their policy is on replica watches. Rolex watches have serial and model numbers, it’s a good idea to find yours and look it up before you sell. This will tell you more about the watch and will help confirm its authenticity. If you have your original box and paperwork, the certificate of authenticity will give you the model / style or serial number. If you don’t have the papers you can also find the serial number printed on the watch. The serial number is 4-6 digits long and can usually be found on the rim of the watch head between the lugs at the 12 or 6 o’clock position. It’s usually hidden by the strap, so you may have to detach this to find the number. The serial number may appear in different places on the watch depending on the year and the model. The serial number can also be found on the movement inside a Rolex. However, if you have a genuine Rolex the warranty is voided if the watch is opened by someone who isn’t a certified Rolex handler. Once you have your model or serial number search online to authenticate it. If you aren’t confident in finding the number yourself, pop to a local jeweller who will be able to detach and re-attach the strap for you. If there is no serial number, the watch is likely to be replica unless it’s antique. If your watch has sentimental value, check the jewellers policy on replica watches first to prevent losing your watch if it’s not real. Play spot the difference. Often fake watches will have obvious differences in terms of quality and style. Look up your particular Rolex model online and look closely to see if there are any obvious differences. Things to pay special attention to are the colours on the watch face, the size, position and colour of the numbers. The smoothness of the watch case, the material its made from, the font used. The Rolex website has some very detailed pictures of different Rolex models that are best used for this. Once you’re sure your Rolex is genuine you’re ready to sell it. There are a number of ways to sell a Rolex watch. If you’re dealing with something rare and valuable you’ll likely want to sell it at auction. If you pick a specialist watch day you’ll likely make more money from your Rolex. You can sell on platforms like eBay, but make sure you do your due diligence. Because Rolex watches are worth a lot of money, you may find you come across scam buyers more regularly when selling high end watches. Collectors who buy Rolex watches from eBay tend to favour sellers that know a lot about the Rolex they are selling. The collector will be looking to find out how much you know about your Rolex, if you don’t know your stuff buyers may not have confidence in you to sell them a real Rolex. Selling to a collector can get you the best price, but collectors can be hard to find and will often give you different prices depending on what they are willing to pay rather than the value of the watch. The best way to sell your Rolex is to get a few different sales valuations, then go with the one you feel happiest and most secure selling to. If your Rolex is broken, don’t let that stop you. A lot of collectors will still buy broken Rolex watches to use for repairs. There are lots of online companies who will buy your Rolex. Make sure, before using these companies, that you check out their reviews. Sometimes it’s free to sell your watches to a site like this, but sometimes you’ll be charged for returns, or you’ll be obligated to sell after getting your free valuation. Be wary of anyone who gives you a quote for your Rolex without having seen it in person. It’s nearly impossible to value a watch accurately from a photograph. A good valuer will want to see the watch, check and validate the serial number, and if they are authorised, they may also want to have a look at the movements inside. If you’re looking to sell your Rolex, give Vintage Cash Cow a try. We’re a totally free no hassle, no haggle, no obligation service. Breitling are Swiss made watches, meaning they are usually the highest quality and worth a fair amount of money. Because Breitling watches are valuable there are a lot of fakes around, selling a Breitling privately can require some care and dedication. Before you start selling learn how to authenticate your Breitling so you can get the best selling price. Breitling watches have serial numbers that can be used to establish their authenticity. This is an important step when selling a Breitling because if you can’t authenticate your watch you’ll make less money for it. Breitling watches use two serial numbers, one of these numbers identifies the particular model of a watch the other is a unique reference number, meaning no two watches will have the same serial number. The serial numbers can be found on the certificate of authenticity. If you don’t have the certificate, you can usually find the 12 digit serial numbers on the back of the watch. Unlike Rolex and Omega watches, the serial number on a Breitling won’t always tell you what year it was made. Breitling didn’t start stamping their watches with dates until very recently. While the serial number and date stamp are a great place to start when it comes to authenticating your Breitling watch, fakes are also produced with serial numbers, so don’t take the serial number as a sign of a real watch. Once you’ve found your serial numbers search for them online to make sure your Breitling is real. When it comes to selling use the method that best fits your expertise. If you are a watch collector and you know a lot about your Breitling and its history you’ll likely have no problem selling on a platform like eBay. If you’ve done your research and you’re confident that your Breitling is worth a lot of money auction is a great choice. With this method you’ll be able to reach more interested and specialist collectors. Make sure you know how much your Breitling is worth before you auction it, this will allow you to judge whether the auction fees make the sale worthwhile. Vintage Cash Cow is a great place to sell your Breitling, especially if you have other watches, jewellery or vintage items you want to sell. When selling to Vintage Cash Cow you don’t need to know much about your watch, our experts are able to appraise and identify your watches before offering you a sale price. Omega was founded in 1848 and their watches are Swiss made. Some Omega watches can be worth a lot of money. Is my Omega watch real? Every Omega watch has a unique seven or eight digit serial number etched into its case. The serial number is usually located between the lugs or on the back of the case. You may need a magnifying glass to see it as it is usually finely etched. For many vintage Omega watches the serial number was usually engraved inside the casing or on the movement, so if you have an older model or a pocket watch we’d recommend you take it to a jeweller who can open the case and locate the serial number without damaging the watch. If you come across an Omega without a serial number it’s probably a fake watch, or if it’s old, the serial number may have worn off, though this is unlikely. Once you’ve found your serial number search for it online. Many fake watches use the same serial number, so authenticating the serial number will help you spot a fake. If you are uncertain check the serial number with Omega themselves. When you are ready to sell your Omega watch, you should research different methods and the fees involved until you find a method that suits you best. If you are selling privately you’ll need to know as much as possible about your Omega before selling it to help you get the best price. Beware of the pitfalls of private selling and only use this method for an Omega watch if you have some experience selling privately. Do some research online or get your Omega watch valued, once you know how much your Omega watch might be worth it can help you make a decision on where to sell it. If your Omega watch is one of the rarer models you might want to sell it at an auction. There you can sell to a room full of watch collectors if you pick the right day. Auctions can be expensive, so make sure you are happy with the fees before choosing this method. At Vintage Cash Cow we buy Omega watches in any condition. 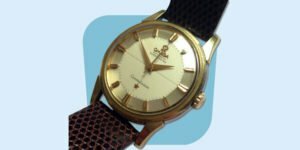 You can post your Omega watch to us for free along with any other vintage items you’d like to sell. We’ll make you a cash offer for the contents of your parcel. If you accept the offer you’ll get an instant cash payment, if you don’t accept you can have all your items back for free. Fossil watches are usually regarded as fashion watches. They aren’t swiss made and don’t have hundreds of years of history, but they’re known for having an edgy style. They were founded in 1984 meaning a lot of their watches aren’t rare. Fossil sit at the more affordable end of the expensive watch market. Fossil also make watches for the big fashion houses like Emporio Armani, DKNY, Michael Kors, Marc Jacobs, Burberry and Adidas. Fossil did begin to produce Swiss Made watches in 2013. They aren’t as expensive as brands like Rolex and Breitling, but can still make money when sold. Fossil produce watches under the following brand names: Relic, Abacus, Michele Watch, Skagen Denmark, Misfit, WSI and Zodiac. Before selling your Fossil watch, make sure it’s genuine. They usually have a serial number on the back of the watch case. If you call the Fossil customer service team and give them your serial number they will be able to verify it for you. Because Fossil watches aren’t worth as much money as high end swiss watches, you don’t get as many fakes, and when you do they tend to be obvious. Here are some tips to help you spot a fake Fossil watch. 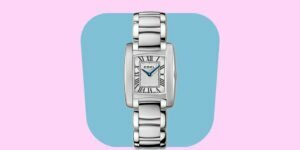 Price: Fossil watches usually cost between £90 and £200 if you are paying or have paid less than £80 your watch is likely not real (though bargains do happen). Spelling: Often cheap replicas will include spelling mistakes. Check that the brand name Fossil is spelt correctly and look for misspellings on other parts of the watch. Straps: Fossil watch straps are usually made from genuine leather, so check out what your straps are made of. In replica watches the straps tend to be poorly made from cheap material so it’s usually an easy way to spot a fake. Warranty: If you bought the watch yourself or you still have the paperwork check it out. Fossil watches always have an 11 year unlimited warranty. If yours doesn’t have one then it might be a replica. Once you’re sure your Fossil watch is real you can start selling it. There are lots of ways to sell your Fossil watch for cash, some of those ways will be easier than others. Private selling is a great option for Fossil watches. You can sell through a platform like eBay, Facebook or Gumtree. Though this method takes a little time and patience it’s widely used for the less expensive high end watches. Before selling privately look to see if anyone is selling a similar watch to yours on the same platform. This is an important step. If there are a few watches like yours currently being sold you might get less for your watch. Similarly if there are no watches like yours being sold, it could indicate that there aren’t enough potential buyers around to make the listing worth while. Looking through similar listings should also give you an idea of how much you can sell your watch for, or at least what the starting price should be. Remember to be realistic with the price, look at how much similar models to yours have sold for. Before selling privately, make a back-up plan. Just because you’ve listed your item for sale, doesn’t mean it will sell, so if you find yourself a few weeks in with no buyer, it’s time to consider a different price or a different platform. With private selling there are a few key things to watch out for. Firstly you will be expected to know a little about your watch, including the age, condition, model and who owned it previously (or at least some idea of that last one.) Make sure you know these things before you sell. Secondly make sure you know how to spot a scam buyer. This is more common with expensive items, but it’s not unheard of for lower value items too. Check that the platform you are selling on provides you protection against fraudulent buyers and always use an online payment system like PayPal or Stripe. Finally make sure you take photos of your Fossil watch being packed into its box. If you are sending it in the post make sure it’s insured for the amount you sold it for and take a photo of your package on the weighing scales in the post office. Taking lots of photographs as evidence that you have sent your Fossil watch to the buyer will help you if your buyer turns out to be less than reputable. While you could sell a Fossil watch at auction it’s likely the fees will make it uneconomical. Auctions are better for selling very valuable items. If you have a collection of high end watches to sell, an auction could be your best bet. 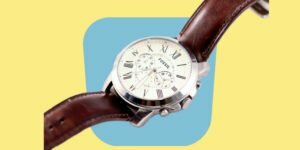 You can sell Fossil watches to Vintage Cash Cow easily and for free. Our no hassle, no haggle, obligation free service was created to give everyone an easy way to sell their things. Take advantage of our free postage labels, or contact us to book a free secure courier. Pack your Fossil watches securely in a box along with any other vintage things you want to sell. We’ll make you a cash offer, if you accept it we’ll make an instant payment, if you want your watches back, we’ll send them back for free. Genuine Heuer and TAG Heuer watches in good condition can make hundreds of pounds, because of this fake watches are not uncommon. If you purchased the TAG watch yourself you should have the original box and a certificate of authenticity. The box and papers will be important when it comes to selling your TAG. If you can produce the certificate of authenticity you’ll find a buyer a lot faster. If you’ve inherited a vintage Heuer or have a TAG Heuer with no papers, you’ll need to verify its authenticity before selling. Here we’ll show you the best way to check that your TAG Heuer is real. First, find your serial number. If you have the original papers it will be printed somewhere on them. Tag watches have two numbers that are usually engraved on the back of the watch. The first number is a reference number and the second is the serial number. If you look up the reference number online it should tell you more about the materials your watch is made from along with the series, size and the type of movement inside your TAG watch. If your TAG doesn’t have a serial number it doesn’t necessarily mean it’s a fake. Some older Heuer models didn’t have serial numbers, or they were engraved inside the watch, usually on the movement. If your TAG is modern and doesn’t have a serial number it’s likely a replica. If you have an old Heuer watch and can’t find the serial number it might be engraved on the movement inside. If you visit a TAG certified jeweller they will be able to remove the back of the watch for you. Watches are very delicate, so they should only be opened by a specialist. Once you’ve found your serial number, do an online search for TAG Heuer followed by your serial number. Fake watches tend to use the same serial number, so the search will help you authenticate the watch. Once you know your TAG Heuer is real, you’re ready to sell. How you sell your TAG Heuer depends on your level of expertise and how comfortable you feel using each different platform. There are so many ways to sell privately. You can sell on a platform like eBay or Gumtree, or you can track down a collector that’s willing to pay the price you are looking for. If you are selling privately you’ll need to know the history and provenance of your watch. A potential buyer will want to know that it’s a genuine TAG watch, what materials it’s made of, how old it is and who has owned it. If you still have the box and papers for your TAG Heuer you should include these in the sale. We’d only recommend selling privately if you experienced in this method of selling. 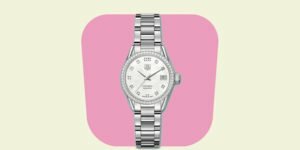 TAG Heuer watches are usually worth a lot of money, so they attract a larger amount of fraudulent buyers, so you’ll need to be vigilant and notice the signs. Always use a payment processing platform like PayPal or Stripe, and if you send your TAG in the post you’ll need to make sure it’s insured for its final selling price. You can find out more about postal insurance on the Post Office website. Auction selling is a great way to sell TAG Heuer watches. The advantage of this method is that your watch can be valued and authenticated prior to the auction. If you choose the right auction day, (so a vintage watch auction for a Heuer watch or a luxury watch auction for a TAG Heuer), you can sell directly to interested collectors and get the best price. The major disadvantage of auctions is that you’ll end up paying a fair amount in fees. Don’t just go with the first auction house you see, compare their fees, methods and auction days to find the auction house that best suits you. Most auction houses keep records of what they’ve sold, these records can usually be accessed from their website. Take a look through the records to find out if they’ve sold a watch like yours recently and how much it went for. This will give you a good idea of which auction houses get the best prices for high end watches. Selling high end watches can be quite an involved process. At Vintage Cash Cow our experts take all the hassle out of selling. You don’t need to know anything about your TAG Heuer watch before you sell it to us. Our experts have over 100 years combined experience in appraising and trading high end watches. We need to see your watch to authenticate and value it, so we’ll provide free postage labels for you to send your TAG Heuer watch to us via Royal Mail. If you don’t want to go to a Post Office you can call us to arrange a free secure courier from your door to ours. Our experts will inspect and authenticate your TAG Heuer watch before making an offer. Once they’ve made an offer, you can accept for an instant cash payment, or have your TAG Heuer sent back to you for free. The benefit of this method is that you can sell more than just watches to Vintage Cash Cow, so it’s a great way to get rid of old watches, jewellery, ornaments and other collectables all at once. Ebel was established in 1911, they are Swiss made and tend to be fairly rare and expensive with prices paid seldom dropping below the £500 mark for genuine used models. Some of the rarer Ebel watches can sell for thousands of pounds, knowing what type of Ebel watch you have will help you determine the best place to sell it. Before selling you Ebel you’ll need to make sure it’s genuine. Because some models are worth a lot of money fraudsters will go to great lengths to create a replica, so it’s difficult to tell a real Ebel from a fake one. Thankfully in the world of Ebel fakes are rare, but if you don’t have the box and the papers you’ll need to know how to authenticate your watch. Most (but not all) Ebel watches have a serial number. Unlike other brands the serial number won’t tell you a lot about the watch, but it is enough to authenticate it as a real model. If the serial number isn’t engraved into the back of the watch it may be engraved on the movement or on the inside of the watch back. If you need to open up an Ebel in search of a serial number don’t do this yourself unless you are an expert. Ebel watches are known for their delicate craftsmanship so if you damage the watch while opening it, even a little, it could detract from the value of the watch. Once you’ve found the serial number contact Ebel who will help you authenticate it. Look up your specific Ebel model online and compare the pictures from a well known website to your watch. This will help you spot any obvious differences between the model and your watch. Sometimes discrepancies can indicate a fake watch, but in the case of a vintage Ebel they may just be a sign that repairs have been carried out on the watch. Either way make note of any discrepancies as they will likely detract from the price. Once you’ve authenticated your Ebel watch you can start the selling process. If you’ve looked up your watch online you’ll have a very rough idea of what it might be worth. If it’s in the high thousands you’ll likely want to sell your watch at auction. If you sell your watch at a luxury watch auction you’ll be more likely to find a buyer who will pay what it’s worth. The advantage of auctioning your Ebel watch is that you can get it authenticated and appraised before selling it. Payments are usually protected via an auction, but the fees can be quite high. If you plan to sell via auction spend some time researching different auction houses. Compare the fees they charge, the types of auction they hold and how much they’ve sold similar watches for in the past. Once you’ve done your research choose the auction house that best fits your requirements. If you have a used Ebel watch and it’s not worth thousands of pounds you might consider selling it privately on a platform like eBay. The more common Ebel models can be quite reasonably priced, but you’ll still see some collectors looking out for them. If you are selling privately make sure you know as much as possible about your watch. You’ll want to know what it’s made of, how old it is and who owned it before you (if anyone). If your Ebel has any imperfections or repairs you’ll need to be honest about that in your listing, some collectors will still buy damaged or repaired Ebel watches either to repair them or to use as spare parts. We’d only recommend selling an Ebel watch privately if you have prior experience with this selling method. As with all valuable items there are always people ready to take advantage of your inexperience or lack of knowledge when it comes to selling. If you are experienced you’ll already know what pitfalls to look out for and how to handle payments securely. At Vintage Cash Cow we have specially trained experts who can authenticate and appraise Ebel watches. We aim to make selling easy, so you won’t need to do lots of research on your watch before sending it to us. We’ll cover the delivery costs, either via Royal Mail or by arranging a courier to deliver the watch safely from your door to ours. The benefit of selling to Vintage Cash Cow is that we offer an instant cash payment, or a free return if you decide not to sell. You can also sell a wide range of other vintage items, jewellery and precious metals to Vintage Cash Cow at the same time as you sell your Ebel watch. Waltham was established in 1850 and were well known for their new and radical techniques in the mass production of watches. The company has a turbulent history and over the years, was re-named several times, and, went through many shifts in leadership. One of the first watches put out under the Waltham name was the Waltham Traveller, a pocket watch that was cased in gold or gold plate. The watches were very robust and many survive to this day in good working condition. They usually have hallmarks and their cases are stamped with the words Dennison Watch Case co.
By the 1920’s Waltham were famous for their slim and elegant wrist watches often cased in a lozenge shape Dennison case. While Waltham were synonymous with quality the company went bankrupt in 1949, some speculate that this is because Waltham didn’t produce a huge number of watches, also people began to consider the watches as boring and traditional. Decline in sales led to the bankruptcy of the company. Because Walthams are no longer made they are generally sought after by collectors and therefore they tend to make good money when sold, though the condition, age and model also factor into the prices paid for Waltham watches. Whereas most pocket watches aren’t worth that much money any more, a Waltham pocket watch in good condition can fetch anything from £50 to £1000. Waltham wrist watches tend to be worth less money as more of them were made, women’s waltham watches tend to be worth less than men’s. Waltham wrist watches can sell for less than £10 but rarer models can be worth a few hundred. The value of the watch is dependent on many factors, so these values should always be used as a rough guide. It’s rare to find a fake waltham watch, but it does happen from time to time. It’s more likely for you to find a waltham watch that’s been repaired. In this instance the repair can detract from the value of the watch. Compare pictures of your Waltham to pictures of walthams online and look for any obvious differences. If you are in any doubt make sure you get your Waltham watch or pocket watch appraised before you sell it, this means you won’t lose out if your Waltham is one of the rare ones. You can sell a Waltham watch like you would any other, there are almost endless ways to sell your things. Here we’ll look at private sales, auctions and selling to Vintage Cash Cow. You can sell watches privately in a number of ways. There are some great selling platforms out there like eBay, Etsy and Catawiki, each have their advantages and disadvantages, so give plenty of consideration to the platform you use. Be on the lookout for buyers who are wasting your time, this tends to be more of an issue with more expensive luxury watches, but it’s always good to be vigilant. Unless you have a rare Waltham pocket watch it will likely be uneconomical to sell at an auction. Auction houses charge fees, that means you’ll make less money from your Waltham watch. We buy Waltham watches in any condition. Our whole aim in life is to make it fast, free and easy to sell your old things. You can post your Waltham watch to us free of charge and our experts will appraise it and give you a sale price. You can accept the offer for an instant cash payment, or you can have your Waltham returned for free. Panerai was established in 1860 and their watches are Swiss made. For a time they made watches exclusively for the Italian and Egyptian Navies, but opened their watches up for sale to the general public in 1993. Some of the earlier Italian Navy watches are highly sought after by collectors, but they are very rare and go for a lot of money. A type of radium was used in the design to produce a phosphorescant watch, however, this substance is highly radioactive. Luckily not many of them were made, but these continue to be highly coveted by collectors. Before selling your Panerai you should make sure it’s authentic and also check if any repairs have been carried out. These things can impact the value of the Panerai and may determine how you end up selling your watch. Since 2007 Panerai watches have had useful information engraved onto the back of the watch. This includes the case number which references the casing used for the watch. A unique serial number for authenticity and an edition number which tells you the year the watch was made and it’s number in production. You can look up Panerai serial numbers on their website to authenticate your Panerai. If you have a rare Panerai military watch it may not have a serial number. Due to the delicacy and potential radioactivity of these models we’d suggest having them authenticated by an expert who will know what they are looking for without damaging the watch. We’d only advocate selling a Panerai privately if you’re a seasoned private seller. Auction is a great place to sell rare military Panerai watches. At an auction you can have your Panerai valued before selling it, and you can sell to collectors, meaning you’ll likely get the best price. Make sure you check out how much you’ll be expected to pay in fees before commiting to an auction. As always you can sell your Panerai to the Vintage Cash Cow experts along with any other watches or vintage items you have. Tissot were established in 1853 and they are Swiss Made watches. They sit at the more affordable end of the Swiss watch market, and are great quality timepieces favoured among new collectors. They don’t tend to be worth vast sums of money, maybe between £100-£300 depending on the quality, age and condition. Some watches will sell for less than £100 if they are more common models, others may sell for more than £300 depending on the age and provenance of the watch. Antique tissot pocket watches can be worth a little more than the wrist watches but this generally only applies to genuine antique Tissot pocket watches in near mint condition. Because Tissot are cheaper luxury watches fakes aren’t all that common and tend to be obvious. There are always exceptions though so it pays to do your due diligence. If you bought the Tissot yourself or it was gifted to you when it was new you should have a certificate of authenticity and a Tissot watch box. These are usually sufficient as proof of authenticity, but you should check the serial number on the certificate to be sure. Tissot are well known for tiny details on a watch that are difficult to reproduce. Find a picture of your particular model on the Tissot website and compare it to your watch looking for any discrepancies. The crown of a Tissot watch should have a T engraved on it, fakes tend to have a glued on T as this is cheaper to make. This tends to be the single biggest give away when spotting a fake Tissot. Check for any misspellings or grammatical errors anywhere on the watch. Many fake Tissot watches are made to be sold as fakes, so misspellings are often made on purpose to make them easier to spot. Selling a Tissot watch is quite straightforward and comes with the usual caveats. When selling privately make sure you know everything you need to know about your Tissot watch and keep a wary eye out for scam buyers. When selling at auction check out a few different auction houses to compare fees, previous selling prices and to check that they have specific auction days. If selling to Vintage Cash Cow pop your Tissot watch into a box with anything else you want to sell and send it to us. We’ll give you an instant cash payment for the contents of your parcel or send your things back for free. When selling a gold watch there are two factors to consider. Firstly the watch might have intrinsic value as a watch if it’s branded or a particularly rare piece. Secondly, if the watch doesn’t have much intrinsic value it may only be worth its weight as scrap gold. When it comes to selling a gold watch remember that not all that glitters is gold. Some watches are just plated with gold or silver, meaning they might not be worth much for their metal content alone. When selling a gold watch consider the make and model of the watch before selling it as scrap gold. Look on the watch in high places of wear, such as the back of the watch case. If there’s a different colour showing through the gold or silver then it’s most likely plated. Not all gold is created equal, it’s produced in varying purities. If your gold watch is 9ct gold it will be worth less than an 18ct gold watch. Gold and silver, unless antique, are usually hallmarked, so if your gold watch doesn’t have a hallmark it’s less likely to be real. Hallmarks sometimes hide inside the watch case. If you are sure your watch is gold but you can’t find a hallmark pop to a jeweller. They will be able to safely remove the watch back to see if there’s a hallmark inside without damaging the watch. Once you’re sure your watch is gold you’re ready to sell it. There are a few more options open to you when selling a gold watch. You can sell privately if you think the watch has intrinsic value or is branded. You can sell at an auction if you think your gold watch is rare and will fetch a reasonably large sum of money. You can sell to a cash for gold company online or on the high street if you are selling your watch as scrap gold. Or you can sell to Vintage Cash Cow for free. Each method has their advantages. We will of course recommend Vintage Cash Cow for one simple reason. With Vintage Cash Cow you get the best of both worlds. Our experts can tell you if your gold watch has intrinsic value or whether it should be sold as scrap. You can also sell other watches, jewellery, coins and vintage items to Vintage Cash Cow at the same time. With so many options open to you it can be difficult to make a decision. Research each selling method and select the one that feels most comfortable based on your experience. Smiths were established in 1851 some models were Swiss made others were made in England. Most are signed S. Smith on the dial or on the movement inside. Smiths were well known for making military watches and pocket watches, they didn’t begin making watches and pocket watches for civilians until after WWII. The civilian watches and pocket watches are usually labelled ‘Made in England’. Because there’s a rich history associated with the Smiths brand, some of their timepieces can be worth a lot of money, with the most valuable pieces being limited editions and military watches. Prices differ for Smiths watches depending on the model and condition of the watch. Some of the more well known dress watches can come up for sale for less than £100 while watches made of gold, or rarer black dial and military watches can command far higher prices. Smiths pocket watches don’t tend to command massive sums of money, most of the time prices for these come in below £45 even if they are in great condition, however, there is the odd rare exception depending on the provenance of your Smiths pocket watch. It’s rare to find a fake Smiths watch, because they aren’t usually as valuable as Rolex or other high end brands counterfeiters tend to focus their attention on replicating watches that are worth thousands of pounds. The bigger risk with Smiths is that they may have been modified at some point in their existence. While the Smiths brand is loved by collectors for its rich history and it’s English roots, there were several weaknesses in some of their designs, meaning components may have been replaced during the life of the watch. Where repairs have occured this can diminish the value of the watch if the repairs weren’t made by a specialist using the correct parts. The best way to find out if your Smiths watch has been repaired or modified is to look at pictures of Smiths watches online. Compare your model to a photograph of the real thing and you’ll soon spot if something doesn’t add up. If in doubt get a valuation for your Smiths watch. If you aren’t a watch expert and you don’t know the provenance of your Smiths watch it’s a good idea to get it valued before you sell it. Vintage Cash Cow is the best place to sell a Smiths watch. Our experts are able to spot a rare watch when they see one. When selling to Vintage Cash Cow you can put a Smiths watch into a box of other things you want to sell and get one easy cash payment for everything for free. We go to great lengths to make sure your parcel is safe when being sent to us and we’ll let you know what’s happening every step of the way. If you only have one Smiths watch to sell, we’d advise selling it privately on a platform like eBay. Remember to take lots of photos of your Smith’s watch and detail any imperfections it has. This will increase your chances of selling. There are always pitfalls with private selling, these have been detailed elsewhere in this article. Make sure you do your research before selling. There are a lot of eBay selling guides online that can help you craft the perfect listing to get the best price for your Smiths watch. Traditionally fashion watches haven’t been taken seriously. The ability of the fashion industry to mass produce watches and the fact that they weren’t known for their craftsmanship has meant they haven’t traditionally been that collectable. But the fashion houses have been innovative with their designs and have begun to create stylish and unusual watches that can be worth quite a lot of money, depending on the fashion house, design and condition of the watch. Channel, Dior and Hermes are well established in this space and appear to be leading the fashion watch trend, but there are other up and coming outliers like Fendi, Ralph Lauren and Louis Vuitton. Fashion watches often use materials that are shied away from by traditional watchmakers. Often gold, white gold, crystals, diamonds, inlaid pearls, silk and semi precious stones. It can be difficult to tell the difference between a fake and a genuine designer watch. With so many brands and designs out there. Your first big clue is to look up your designer watch online. Study pictures of the same watch as yours and try to spot the differences. Usually with fake watches the materials, finishing and colour won’t look quite right. Keep an eye out for any glued on gems. Most fine watches have smooth movements allowing the hands of the watch to move smoothly with no ticking sound. If your watch ticks loudly it’s less likely to be genuine. It pays to know your stuff if you sell privately. Luxury watches can be huge investments, especially if you have vintage and antique timepieces. Anyone buying from you will want to know that you are knowledgeable about what you are selling, that your item is genuine and that you understand it’s history. Serious watch buyers will take it as a bad sign if you don’t know these things as it increases the risk of them buying a replica watch. Where you sell your watch will come down to the platform you feel most comfortable using. There are thousands of different types of fashion watches and different prices will be paid for each of them. The value of the watch will likely determine how you sell it. Selling watches online is quite easy, there are lots of selling platforms to choose from. If you choose this method you’ll want to have a little experience with the platform you’re using first. Always compare fees and terms and conditions before you start selling. With private selling the risks go up the more expensive your item is, so use your judgement wisely depending on how much you think your designer watch is worth. If your designer watch is one of the rarer ones it could be worth a lot of money. In this instance it pays to get an auctioneer involved. Often you can sell your designer watch to the highest bidder and if you choose the right day you could end up with a room full of watch collectors bidding on your watch. Remember that auctions usually charge higher fees than other selling methods, so compare the fees for a few different auction houses before choosing one. You can sell designer watches to Vintage Cash Cow in any condition for an instant cash payment. We created Vintage Cash Cow so everyone would have a fast, free and easy way to sell their old things. Because we cover all the postage costs, we usually ask that you send a minimum of 10 items to us, so if you only have one designer watch you’ll likely be better off selling it privately. Now you know everything there is to know about selling your luxury watches sign up to Vintage Cash Cow to start cashing in.